Treat criminals as they are. not as civilians. Finding a political solution to Kashmir is the holy grail of Indian politics. Finding a political solution to Kashmir is the holy grail of Indian politics. The pivot of this desire is the belief that Kashmir’s legacy of tolerant Islam is intact, and engaging terrorists and separatists in peace dialogues will wean them away from Pakistan’s grip—not happening; the ISI keeps them flush with funds. During the Pak invasion of Kashmir in 1947, hundreds of Kashmiri women were raped and abducted, but the generation of Kashmiris who remember have passed on. Moreover, each government in the state suffers from political schizophrenia—be a state of the Indian Union with all the accompanying priveleges while championing Kashmiriyat. This conflict is evident in the FIR filed against Major Aditya for murder. The FIR says that the Major and his soldiers killed civilians. 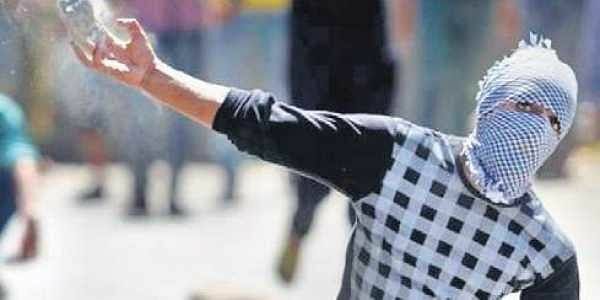 They had fired on a mob of 200 people, which had attacked their convoy at Shopian’s Ganowpora village. Two stone pelters were killed and another was injured. Since when did stone pelters, attacking Indian soldiers, and waging war against the Indian state, become civilians? The Indian soldier has been guarding the frontiers with his life; so many of them are martyred in gunbattles with terrorists. The number of civilians who die in firing is very few in Kashmir. In 2016, 247 people died in the militancy, of which 82 were security men and 150 were terrorists. Only 15 civilians lost their lives. Human rights activists working in the insurgency-afflicted areas such as Kashmir, the Maoist corridor and parts of the Northeast tend to forget that soldiers fight in extremely perilous conditions. To suggest that arsonists, insurgents and criminals should be given the same treatment as ordinary civilians is an Utopian argument of the Left-Liberal intelligensia. In their eyes, anyone not in uniform is a civilian, whether he be a terrorist or gangster. A police officer in Chhattisgarh described how Naxals would shoot CRPF men in their ankles, and throw them into a ditch, leaving them to bleed out and die. The earth would be scourged with bloody marks made by the helpless jawans trying to crawl out in futile desperation; the sight had made him cry. The idealistic view of rights activists that every human life is sacred is nonsense in the face of such brutality. Now, protests are rising over the wave of encounter killings of dreaded criminals in Uttar Pradesh by the Yogi Adityanath government. Political patronage of the mafia has totally criminalised the cowbelt, protecting extortionists, kidnappers, murderers, rapists and hitmen. The highest number of murder cases in 2017 in India was in Uttar Pradesh, followed by Bihar, according to NCRB figures. The state also topped the number of crimes against women in 2016. Goonda Raj in UP was a creation of the Congress, which sensing the rise of regionalism in the mid-1980s, hired criminals to rig polls and intimidate voters. Soon the criminals themselves became politicians, winning elections with money and muscle power. In 2014, criminals comprised one third of the total candidates fielded by the four main parties. By then, the Samajwadi Party had the most. Now, it is time for criminals and terrorists to be treated as such and not as civilians facing the brunt of the law. Kashmir or UP, Swachh Bharat also means cleaning up India of elements that threaten the safety and security of its people.